A short ferry trip over Sydney Harbour from the city brings one over to Manly, long claimed to be Sydney’ seaside resort for generations of Sydneysiders. Here, there you not only have access to a number of oceanside and harbour beaches, but a growing collection of great restaurants and places to eat as well. Located on the Wharf, where you arrive from the city on the ferry, has great harbourside views to match the acclaimed food here. Serving great Italian food, Hugos Manly was even awarded the best pizza in NSW! Their mains, as well, do not dissapoint. Try the Crispy Skin Barramundi with a Sweet Potato & Ginger Mash, or the grass fed Lamb Cutlets with a Lamb Shoulder & Mushroom Croquette. They also specialise in some great cocktails to fortify one over the spectacular ferry ride back to the city. The Manly Fish Cafe, located near the beachfront offers a great selection of fresh fish sourced locally as well as crustaceans. Famous for their Sydney Rock Oysters, their fish are caught in the waters off Australia and New Zealand. Even their take-away fish and chips (to eat at the beach) get great reviews! A superfood café serving the healthiest of foods made from fresh, mainly organic ingredients. Their fruit dishes are made from locally sourced, in season fresh fruits, they also have superfood ingredients including acai, pitaya, cacao, matcha, chia, activated buckini and hemp seeds, so you can enjoy a great energised day. If you live an active lifestyle, starting your day here is a Manly way to, well, start. On the water’s edge of Manly Beach, The Pantry Manly is located in the renovated historical Manly Ocean Beach House. Breakfast is a speciality here, who does not enjoy a great breakfast overlooking the waves and a sandy beach. They also do lunch and dinner, of course, or you can just stop over for a drink or two for the fantastic views. The Manly Pizza & Wine Picture Bar serves authentic Italian pizzas and has a wine list to match. They also do mains, pastas and salads, so the hungry will leave satisfied. Serving great pub food along with a good selection of craft beers, they offer live entertainment on most weekend evenings. They do lunch seven days a week as well, from 12pm to 2pm. Banana Blossom Asia is located on Market Lane side behind the Ivanhoe Hotel and known for their great salads. Their smallish menu is designed to please, ensuring freshness of the ingredients. Naturally they also cater for vegans and their food is reasonably priced. Greater Sydney and Surrounds Map Map: Greater Sydney Map. 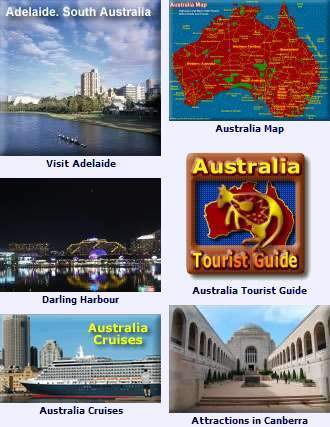 Sydney Tourist Map: Manly Map - Sydney’s Seaside Resort.